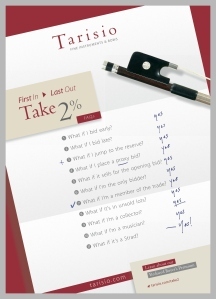 Announcing First In, Last Out! Tarisio is proud to announce a new bidding incentive, First In, Last Out (FILO). 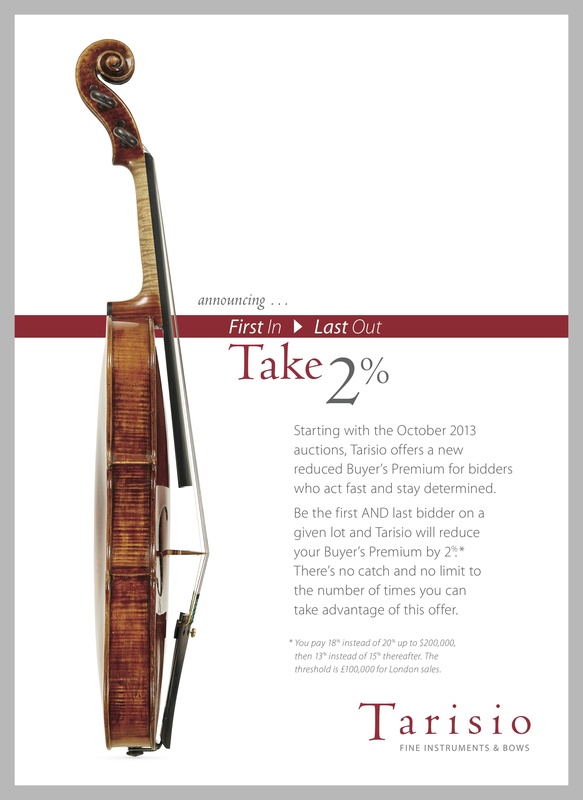 Starting with the October 2013 auctions, Tarisio offers a new reduced Buyer’s Premium for bidders who act fast and stay determined. Be the first AND last bidder on a given lot and you’ll pay a reduced buyer’s premium of 18% up to and including $200,000 and 13% thereafter (the threshold is £100,000 for London sales). * There’s no catch and no limit to the number of times you can take advantage of this offer.